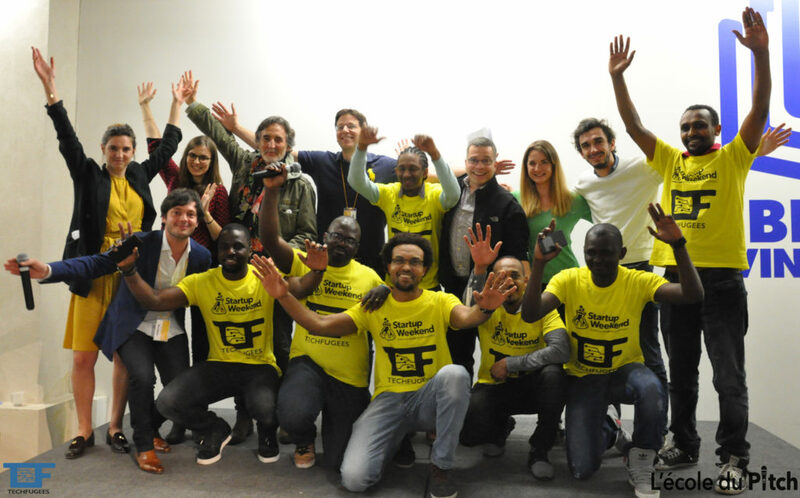 Techfugees France partnered with Startup Weekend Paris, Paypal France, Liberté Living Lab and IWD together to organise an event bringing students, entrepreneurs, asylum seekers, refugees and NGO’s to create solutions for refugees. The event brought more than 100 people, one out of two being an asylum seeker or refugee; and more than half of them having coding skills themselves. 10 teams formed over the weekend and pitched 10 projects that can facilitate refugees access to employment, education and dignity – from IoT Teddy Bears to provide information to camp managers on the health of children, to chatbots facilitating the access to information on administrative steps to access services. 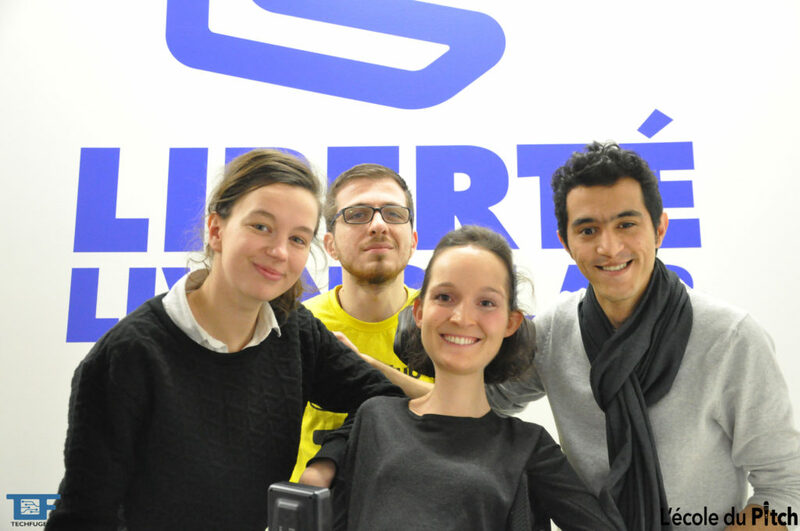 The winning team, RefuHelp, a team of seven refugee coders, was awarded with a three month desks space at Liberte Living Lab, the new civic tech incubator located in the center of Paris Silicon Sentier, and providing with a three month mentoring support from PayPal, the Platinium sponsor of the event that will go continue to support the development of their product. Read more on the event from Forbes / Les Echos / Happy Project / France 24. The winning team Refuhelp, made of 7 refugee coders from three different countries of Africa, met at Simplon, a coding class, a few months ago. They pitched a new way of providing information to refugees – an intuitive and interactive platform that follows users according to the information they read, personalizes the experience for him/her and uses minimal text. The members of the team having been in the situation before – trying to find info on where to sleep, where to find food, how to protect oneself from the cold and where to find employment – decided that it was essential to rethink the way most information is displayed at the moment – and are looking into partnering with organisations that currently provide that information. “Techfugees is made of hacks with innovative tech and some simple low tech hacks supporting existing refugee tech projects or activities done by NGOs on the ground. We are not solutionists!” Joséphine Goube, CEO Techfugees. The second prize went out to a mobile app called “Bazaar”. It solves the very concrete challenge of food distribution and hygiene products in a refugee camp. The team worked over the weekend with Joel, a representative of Elpida, an NGO having built and managing a refugee camp in Greece. The team is going to fly to Thessaloniki next to deploy the mobile interface in Elpída Home. The camp, made of 150 people is soon to expand to receive 500 more – and as such the app comes at the right time to be tested to prepare the scaling of distribution operations. 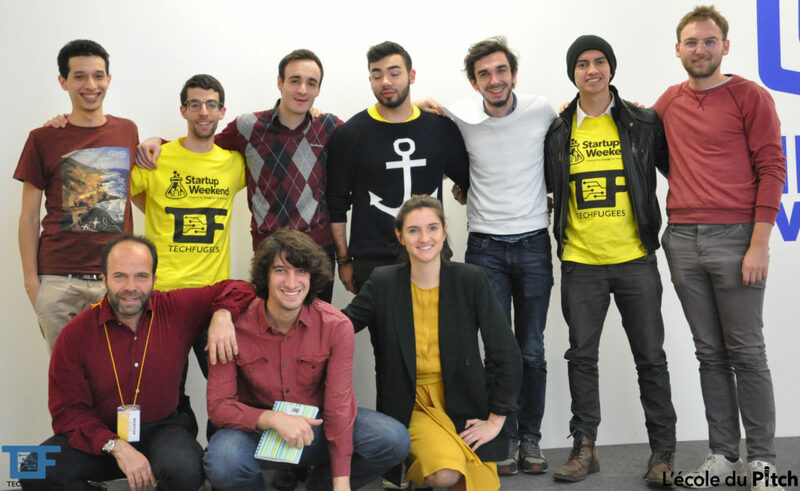 The Jury’s special prize went for CPA (Comprendre Pour Apprendre), a project led by a Franco-Syrian team formed on the weekend. It was led by 23 year old Syrian refugee Nour, who did not speak a word of French a year ago when he arrived in France. The project is addressing a very concrete need to access culture and a way to educate and train oneself via learning french. CPA puts refugees, volunteers and NGOs in touch via an app, that uses geo-localisation, timings and level of french. Paypal France, platinium sponsor who financially supported the event, mentored teams throughout the whole weekend, took part in the Jury and offered a three month mentorship to the winning team; to IDW, Gold sponsor, who financially supported the weekend and donated its developers to support teams over the weekend, and to the many grassroot NGOs : Simplon; Happy Project; YBorder; THOT, Singa; Konexio.